Napa, CA is known throughout the world for its incredible wines and bucolic vineyards. Before you make the trip to Napa wine country, make sure to do your research by following this guide to the Napa Valley with your Greater Napa Mercedes dealer in Fairfield, CA, where you can lease or finance a new Mercedes-Benz today! Inglenook Winery – Inglenook Winery was built by a nineteenth century sea captain who understood the value of making small batches of wine. Unfortunately, it eventually sold out to a large corporation, which diluted the quality in order to make a higher quantity of wine. Francis Ford Coppola knew the origins of this fine Napa Valley winery, though, so when he bought it back with the spoils of The Godfather II, he renewed its quality and restored its legacy. Come to Inglenook Winery for a beautiful tour that will take you back to the Old Country. V. Sattui Winery – This is one of the most popular wineries in Napa Valley—and for good reason. This iconic winery offers wine tasting, of course, but you can also bring the whole family along and enjoy a picnic at the beautiful outdoor grounds and Italian deli. Beringer Vineyards – For a deeply pastoral experience that will transport you to another time, there’s nothing quite like Beringer Vineyards. Started in 1876 by a pair of German immigrants, this vineyard is nestled deeply within a wooded paradise, complete with a rustic farmhouse. 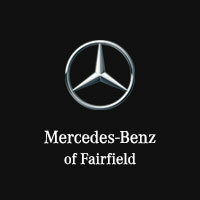 The team at Mercedes-Benz of Fairfield loves the area we live in, and we’re here to help you enjoy it as much as we do. Follow your greater Napa Mercedes dealer in Fairfield for all the hottest spots in Nappa Valley wine country. And if you’re looking for a new luxury vehicle in Napa, CA, be sure to check out our One Price policy and our current manager specials!